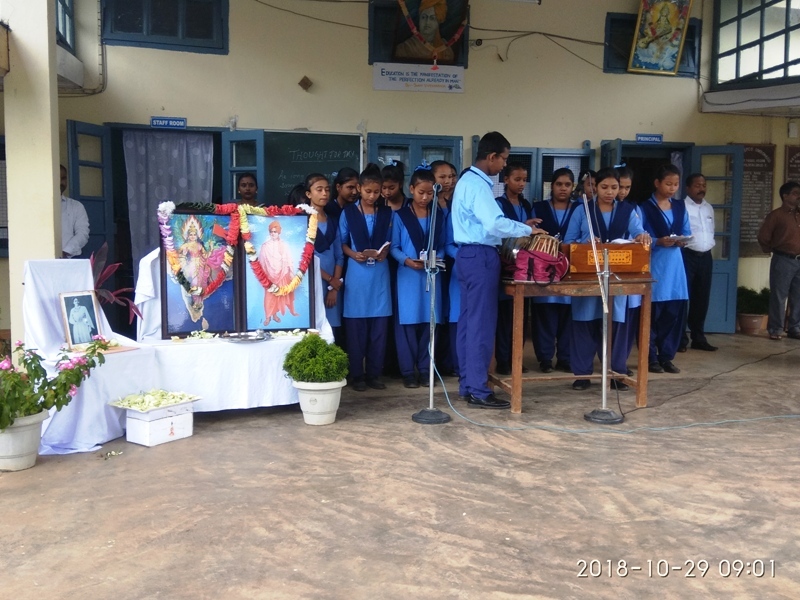 Vidyalaya observed 151th birth anniversary of Sister Nivedita on Monday (29th October 2018) in brief in the morning assembly. The observation began with floral tribute at the portrait of Sister Nivedita by the Principal while all the students and teachers chant manglacharan together. It was followed by a speech on Sister Nivedita’s life and contribution by Smt. Gitashree Sarmah (teacher). A group of students sang a patriotic song on the occasion. The principal also spoke a few words about her and asked to follow her footprints and pursue the work started by her.